Click Advanced settings and enter your personal domain name and hit save. If you have your domain name registered with 1and1.co.uk (basic account) you will not be able to follow the instructions as the CNAME is too long (more than 32 characters). 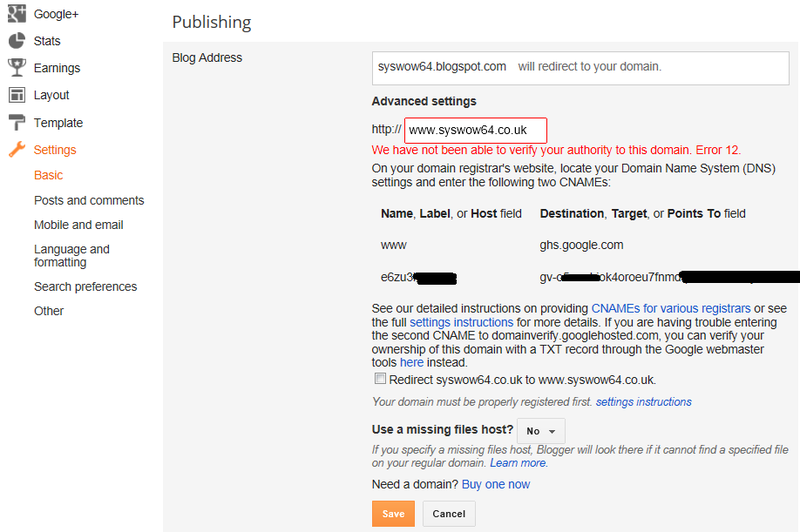 I suggest you change your NameServer to point at byethost.com. You will not only be able to take full control of long CNAMES but you will be able to add 5 domains and share 1000MB for free. 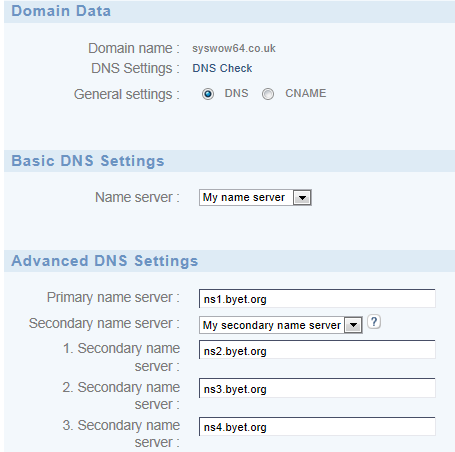 Login to 1and1 and go to the "Domain Overview"
Select the domain name and edit the DNS settings to point to byethost.com. I see you have joined the dark side!